After debuts by India at IC08 and then Pakistan at IC14 their Sri Lankan neighbours could be next to make their International Cup debut. 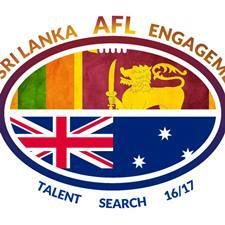 A talent search and fundraising effort to bring a team from Sri Lanka to compete in the 2017 AFL International Cup is underway. The organisers were recently interviewed on Channel 31 in Melbourne on the Sri Lankan Morning Show. They have conducted clinics in Sri Lanka to find the talent to fill out their team and have been assisted by players from Essendon (Courtenay Dempsey) and Carlton (Ed Curnow, Harry McKay and Jesse Glass-McCasker).